It may seem ironic for an associate professor at the College of Education, but Gina Biancarosa discovered her calling after she dropped out of Boston College, just one course shy of a master’s degree in English. Her decision marked the beginning of a circuitous path to the UO, where this April she was honored as the inaugural Ann Swindells Chair in Education. She loved literature, but wanted something more — a feeling that she was helping people. Like in high school, when she tutored grade-schoolers. Or when she volunteered in college as a reader for the blind. So she found work in Boston helping students prepare for the SAT, PSAT and GRE graduate school entry exam (which, she said, spurred a keen interest in measurement and assessment). But the real “aha” moment came when she started volunteering as an adult literacy tutor on the side. She enrolled in a one-year licensure program at Harvard to become a literacy specialist. But her path was diverted again, this time by a course in literacy politics and policy — a class she found so fascinating she skipped a required licensure course to attend it instead (both were scheduled at the same time). That ended her licensure plans but eventually led to a Harvard Ed.D. Along the way, she taught in grade schools, co-authored a groundbreaking work with renowned language and literacy expert Catherine Snow, and cultivated an implacable curiosity about reading comprehension. 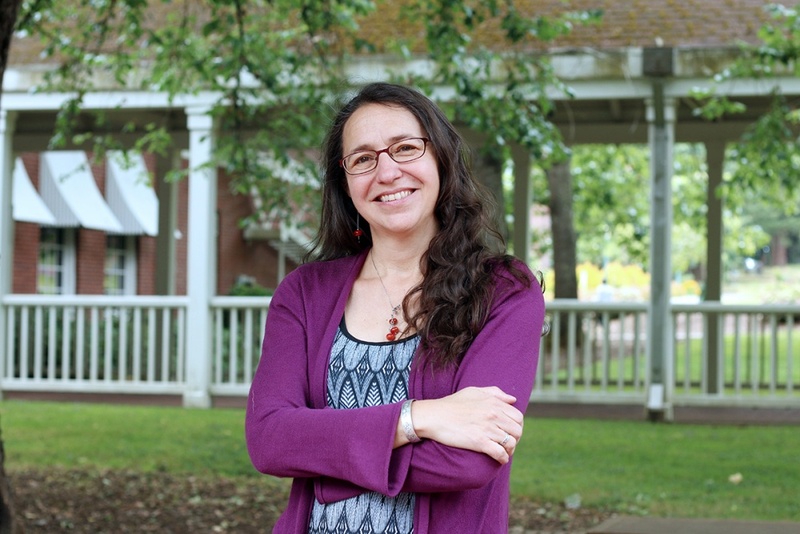 She spent three years doing postdoctoral research at Stanford University, then joined the UO faculty. At the college, Biancarosa is a lead researcher for the Multiple-choice Online Cloze Comprehension Assessment project. The test helps teachers diagnose reading comprehension challenges and could lead to new interventions. “Hearing about the chair was breathtaking,” Biancarosa said. “And very humbling.” The chair was established with a $1.2 million gift from the late Ann Johnston Swindells, a 1955 alumna who studied education. That includes funding to help realize her dreams of an interdisciplinary initiative for literacy research. For now, Biancarosa and her colleagues call this initiative Language and Literacy Equity Assessment and Policy. She hopes the initiative will unite faculty members from across campus to study language and literacy acquisition and development.